Hello from Siberia! For the fist time in 10 years, I’m going to have a White Christmas. Naturally I did nails to celebrate the occasion. It’s been snowing non-stop since our arrival so the little silver snowflakes very appropriate. 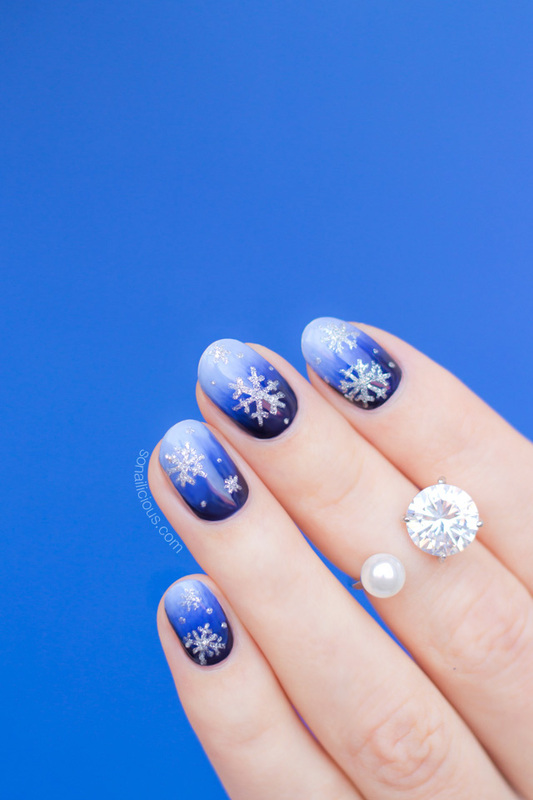 For this design, I used OPI Infinite Shine polishes as I needed a fail-proof manicure for the 3 days of flights it took to get here and the harsh Siberian winter. 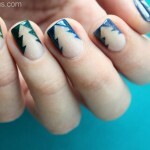 So far, my nails look as fresh as the day they were painted! 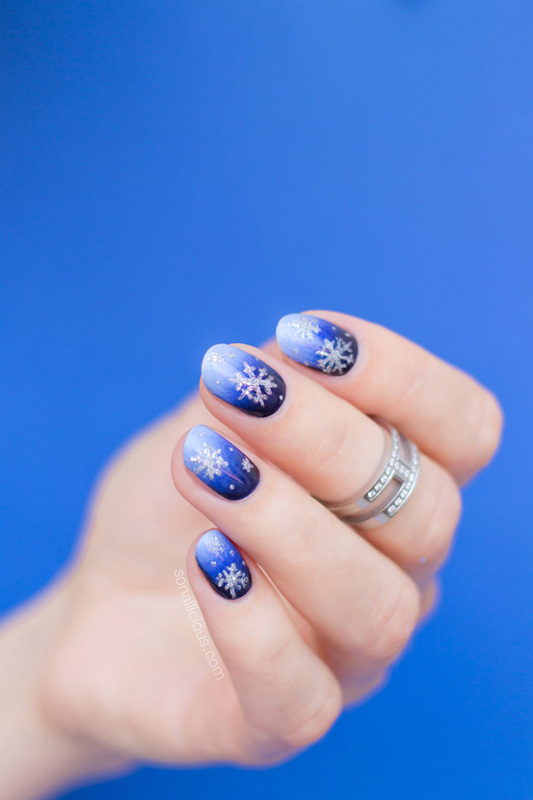 This manicure is reasonably easy. 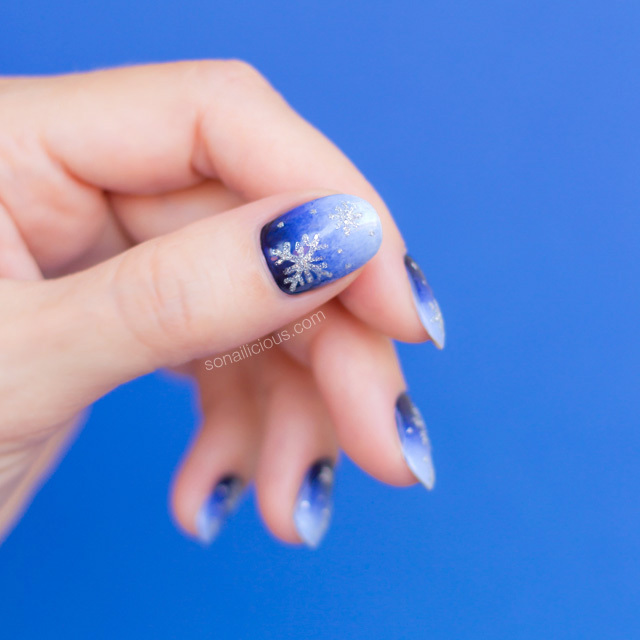 First, you do a classic gradient (refer to this tutorial from the book if you need a how-to), then apply a glossy top coat and paint the snowflakes with a silver textured nail polish and a detailing nail art brush. 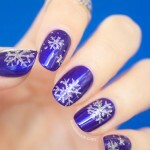 There’s an example in this Snowflake Nails tutorial. As for the trip, it’s been amazing so far! Our next stop, the wild mountains of Gornaya Shoria, than Moscow and on to the deserts of Dubai and Abu Dhabi. 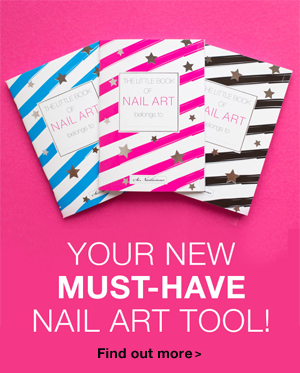 My Little Book of Nail Art is already overflowing with ideas and I can’t wait to bring them all to fruition! 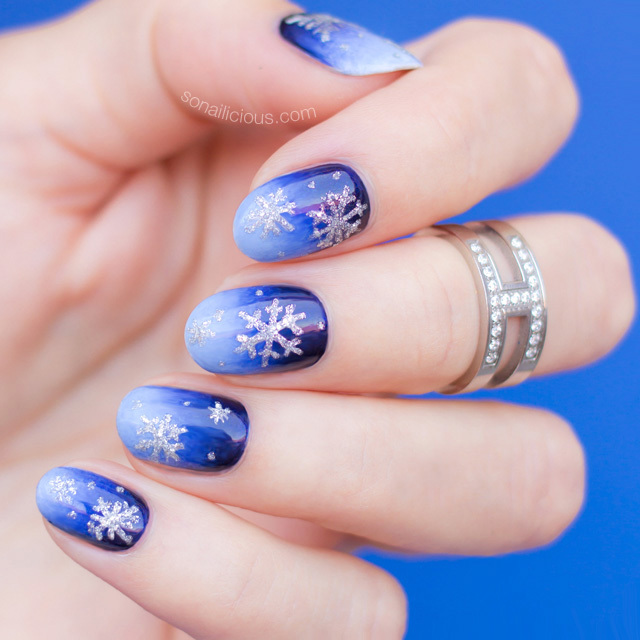 Used: Orly Nailtrition, all polishes OPI Infinite Shine – Russian Navy, Alpine Snow, Indignantly Indigo and To Be Continued, Essie Gel Effect top coat, Isadora Diamond Crush (silver) and SN detailed nail art brushes. 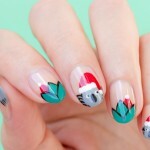 Have you already decided in your Christmas nails? P.S. Make sure you follow me on Insta and Snapchat (SoNailicious) for real time updates from this year’s #crsnworldtour. 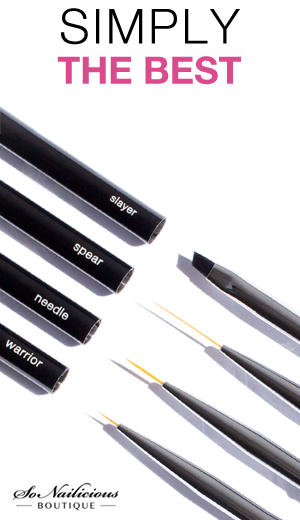 I’ve already found some exotic new nail polishes and I’m sure there’s more to come.